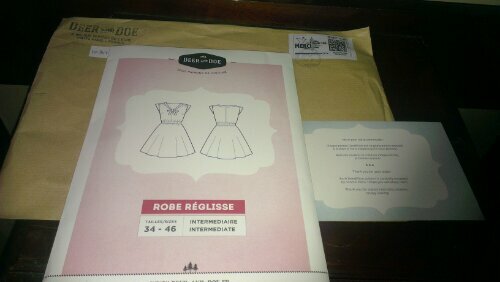 It’s the Robe Reglisse dress pattern from Deer And Doe. I’ve never used one of their patterns before but the design is similar to a lot of the dresses I wear so if it works out it’ll get a lot of use. It’s been quite a while since I’ve sewn anything. Like everyone else I go through phases with crafts and haven’t been feeling a great deal of sewing energy recently. But hopefully it’ll rekindle in the next couple of months.